Amazon.com Inc. Chief Executive Officer Jeff Bezos accused the National Enquirer and its publisher David Pecker of extortion and blackmail, stepping up a war of words between the world's richest man and a confidant of U.S. President Donald Trump. The magazine, owned by American Media Inc., published an expose on Bezos's relationship with former TV anchor Lauren Sanchez, and Bezos has hired investigators to find out if the story was politically motivated. He owns the Washington Post, which has written critical stories about Trump, who counts Pecker as a close ally. In a surprising move on Thursday, Bezos said the National Enquirer threatened to publish more details and revealing photos if the executive didn't stop the probe. His statement online included vivid descriptions of the images. "Rather than capitulate to extortion and blackmail, I've decided to publish exactly what they sent me, despite the personal cost and embarrassment they threaten," Bezos wrote in a post on Medium. "Any personal embarrassment AMI could cause me takes a back seat because there's a much more important matter involved here. If in my position I can't stand up to this kind of extortion, how many people can?" 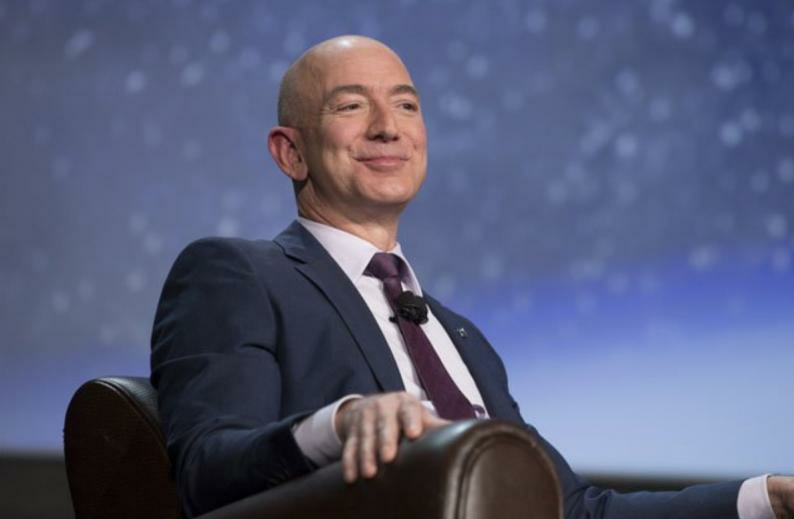 Bezos also suggested that the Washington Post's coverage of the killing of Saudi journalist Jamal Khashoggi may have motivated the National Enquirer's investigation. "For reasons still to be better understood, the Saudi angle seems to hit a particularly sensitive nerve," the billionaire wrote. A spokesman for AMI didn't respond to a request for comment. The magazine investigated Bezos because his wealth and position made him a newsworthy subject, and its reporting isn't influenced by politics, according to copies of emails allegedly from AMI lawyer Jon Fine that Bezos included in his post on Thursday. In one of those emails, Fine proposed Bezos release a mutually agreed upon statement to a news outlet saying that he had no basis for suggesting AMI's coverage was politically motivated. In exchange, the media group would refrain from publishing other texts and photos featuring Bezos, according to the email released by the Amazon CEO. "This looks like textbook extortion," said Zachary Elsea, a litigator with Kinsella Weitzman Iser Kump & Aldisert LLP in Santa Monica, California. The law defines extortion as, among other things, obtaining something of value through fear, and AMI's very explicit threat to publish the embarrassing pictures unless Bezos complies, fits that description, according to Elsea. Fine, a former executive at Amazon, didn't immediately respond to an email seeking comment. The White House also didn't respond to a request for comment. This is the latest clash between Bezos and the president. Trump has repeatedly vilified Amazon's CEO, threatening his company with tax increases, antitrust prosecution and higher shipping fees, while attacking the Washington Post as a "scam." In 2015, Bezos offered to blast Trump into space, but has mostly avoided mentioning Trump publicly — until Thursday. Bezos last month posted a statement on Twitter, signed by him and his wife of 25 years, MacKenzie, announcing their plans to divorce. Hours later, the first Enquirer story on his relationship with Sanchez posted online. The next day, Trump wished Bezos good luck on Twitter and predicted the proceedings would be "a beauty." On Thursday, Bezos noted that Pecker is cooperating with federal prosecutors who are investigating "catch-and-kill" payments the Enquirer made ahead of the 2016 presidential election to at least one woman who alleged she had an affair with Trump. The Enquirer secured the rights to the material, assuring the allegations wouldn't be shared with other media, then never published the story. Bezos is Amazon's largest shareholder, with a stake of about 16 percent. An Amazon spokesman has said the CEO and founder remains "focused and engaged in all aspects of Amazon." Bezos and company spokespeople haven't addressed whether he will accelerate his periodic sales of Amazon shares. An Amazon spokesman declined to comment on Thursday. The correspondence between Bezos and AMI included legal jousting over the newsworthiness of graphic photos Bezos sent to Sanchez. Bezos argued the images are his and sharing them would violate copyright laws. A representative for AMI responded in one of the emails: "With millions of Americans having a vested interest in the success of Amazon, of which your client remains founder, chairman, CEO, and president, an exploration of Mr. Bezos' judgment as reflected by his texts and photos is indeed newsworthy and in the public interest." That argument was questioned by Wedbush Securities analyst Michael Pachter, who has followed Amazon for years. "I don't care about Jeff Bezos's personal life and I don't care if Trumplandia is out to make him look bad," Pachter said. "None of that influences whether people want to shop on Amazon." American Media is backed by Anthony Melchiorre and his hedge fund, Chatham Asset Management. Years before Trump ascended to the White House, Melchiorre threw a financial lifeline to Pecker's company and ended up with about an 80 percent stake. Billionaire hedge fund manager Leon Cooperman also has put money into the publisher. He said last year that Chatham executives introduced him to the investment.